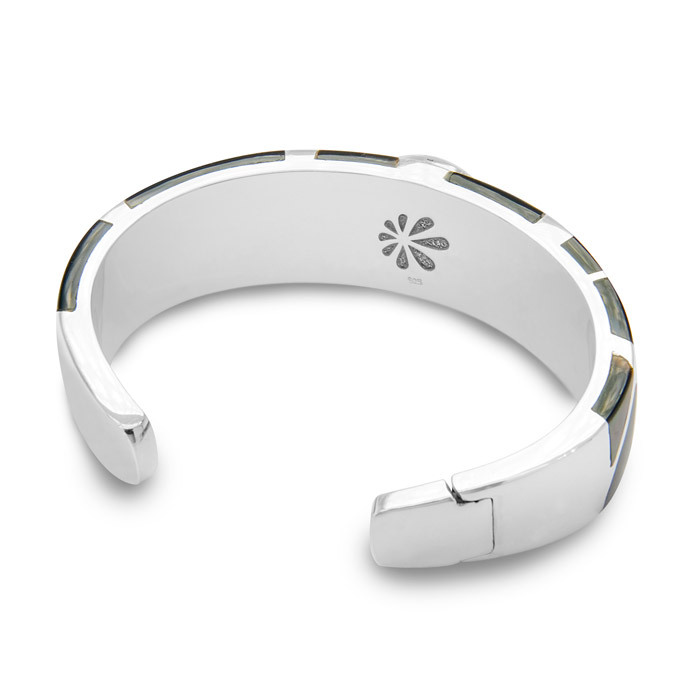 You’ll feel imbued with personal power when you wear our Laguna cuff bracelet. 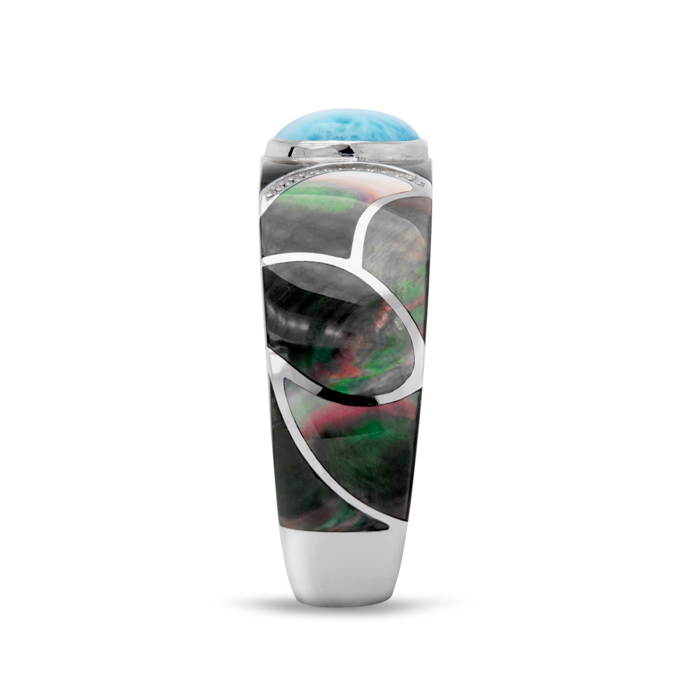 Curved black mother of pearl set in silver and white sapphires set the backdrop for an exquisite round of luminous larimar. Absolutely captivating! 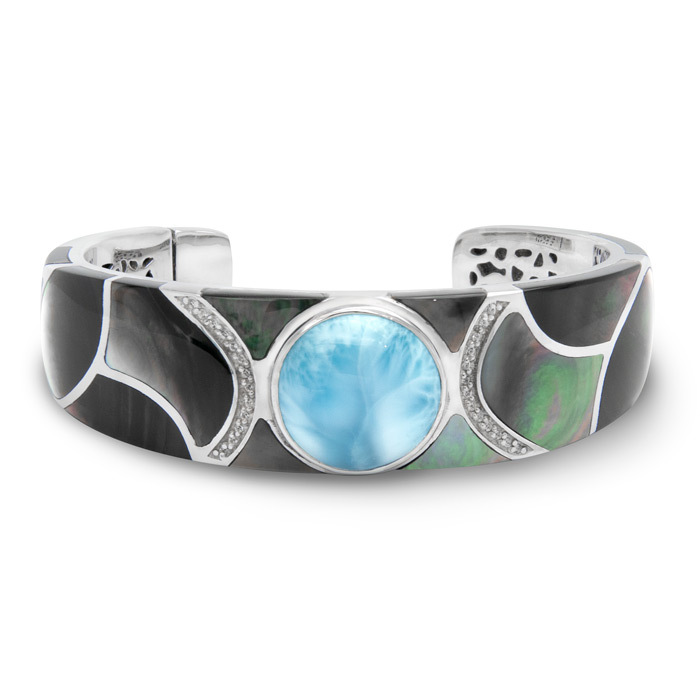 Product Details: 17mm larimar gemstone with black mother of pearl, white sapphire, and sterling silver.